protocol wherever the patient receives care. The pump also comes with rechargeable Li-Polymer battery to allow complete autonomy. 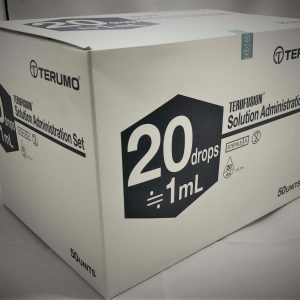 Deliver continuous, intermittent and bolus-dose protocols. 0.1 – 1500 ml/h range to meet your every needs. 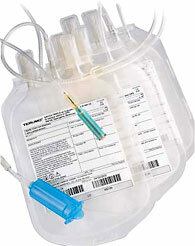 Instead of rate, you can select from 10 minutes to 100 hours infusion time. The T34L™ then automatically calculates flow rate for you. 0 – 2 ml/h range. 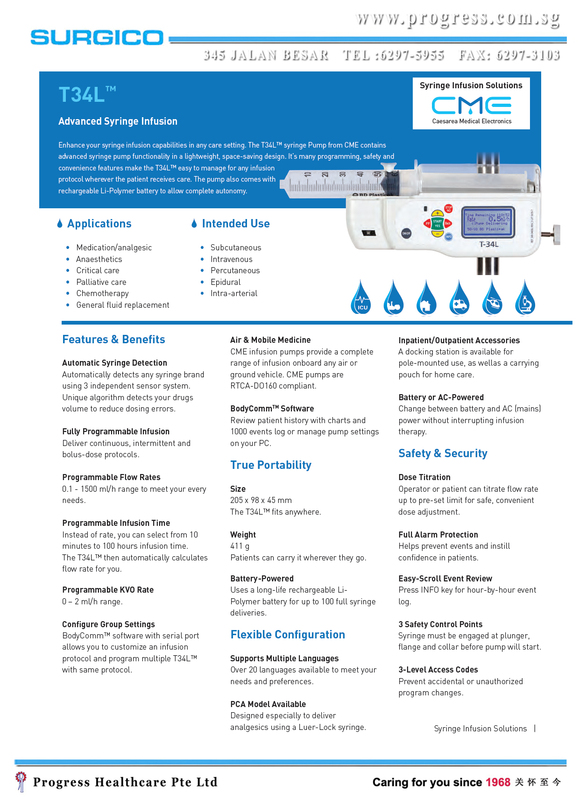 BodyComm™ software with serial port allows you to customize an infusion protocol and program multiple T34L™ with same protocol. Size 205 x 98 x 45 mm The T34L™ fits anywhere. Weight 411 g Patients can carry it wherever they go. 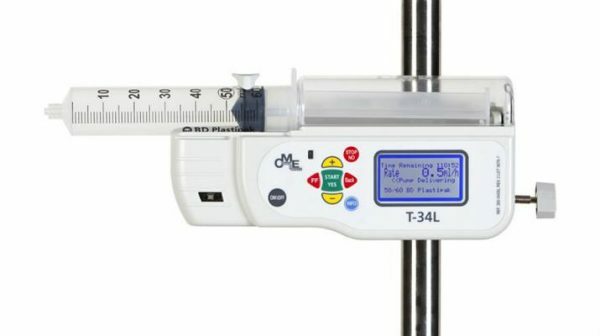 Battery-Powered Uses a long-life rechargeable Li- Polymer battery for up to 100 full syringe deliveries. Designed especially to deliver analgesics using a Luer-Lock syringe. A docking station is available for pole-mounted use, as wellas a carrying pouch for home care. Change between battery and AC (mains) power without interrupting infusion therapy. 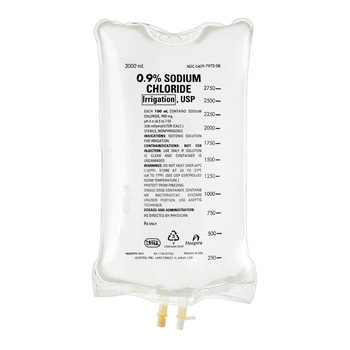 Operator or patient can titrate flow rate up to pre-set limit for safe, convenient dose adjustment. Helps prevent events and instill confidence in patients. Press Info key for hour-by-hour event log. Syringe must be engaged at plunger, flange and collar before pump will start. Prevent accidental or unauthorized program changes.